Our motto is simple, we are not a club, why pay a membership fee for something you don’t always use every month? 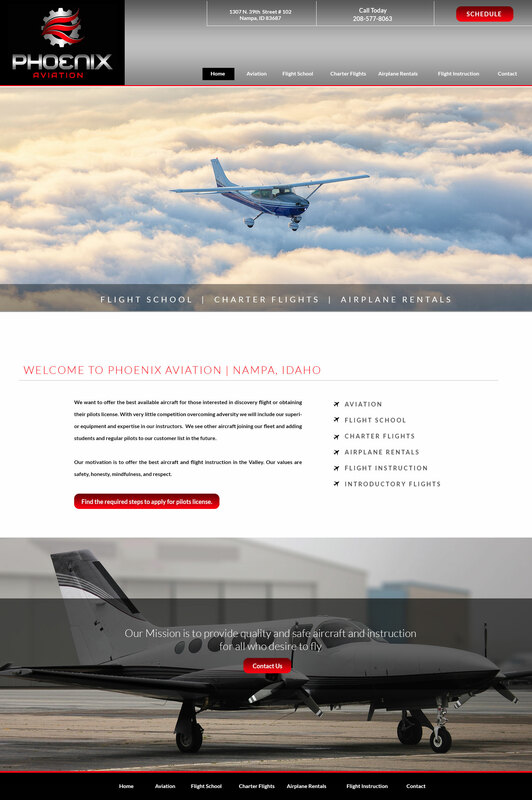 We started Phoenix Aviation with the idea that it should be easier for a certified pilot to rent an aircraft, for a student to obtain instruction or to charter a relaxing half day trip around North West Idaho. With our knowledgeable instructors and easy to use scheduling software, renting one of our aircraft can’t get any easier. Have interest in obtaining your private pilot’s license give us a call or send us an email to get connected with one of our certified instructors or sign up for an introductory flight. Certified Pilot? Register under our “Schedule Now” tab to be entered into our data base of approved flyers and enjoy the worry-free experience of not belonging to an air club, but enjoy the perks that make Phoenix Aviation different from all others.